Dr. Christine Tran-Boynes is an attending psychiatrist at Sheppard Pratt Health System. She earned her DO from Lake Erie College of Osteopathic Medicine in Erie, Pennsylvania and completed her residency at the University of Maryland/Sheppard Pratt training program in Baltimore, Maryland. 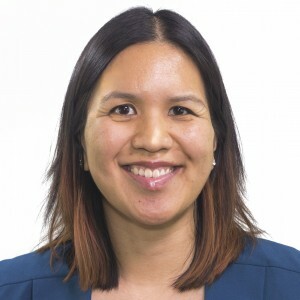 In addition to her role at Sheppard Pratt, Dr. Tran-Boynes serves as a consultant psychiatrist for Baltimore Crisis Response, Inc. and as a peer reviewer for Clinical Schizophrenia and Related Psychoses. Previously, she was a faculty member of the Johns Hopkins University School of Medicine and an attending psychiatrist at the Johns Hopkins Hospital Community Psychiatry Program. She has been recognized for her commitment to cultural psychiatry. Dr. Tran-Boynes is board certified in general psychiatry. Contributing Author: Sahler, O. J., Carr, J. E., Frank, J., & Nunes, J. V. (2018). The Behavioral Sciences and Health Care (4th ed.). Boston, MA: Hogrefe.